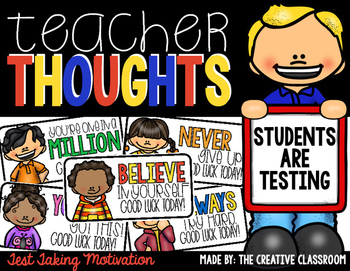 Teacher Thoughts are a fun and engaging way to recognize your students individually throughout the school year! These little notes are perfect to leave on students' desk during the day to let them know you are proud of their great behavior and work quality. Teacher Thoughts come in black and white and color options. 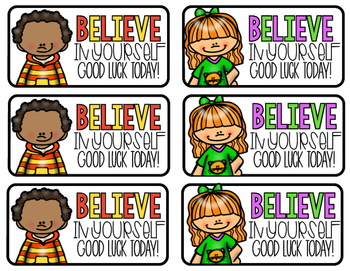 This theme is great for end of year test taking weeks. 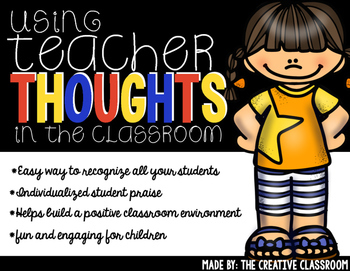 Interested in more Teacher Thought Notes? You can find the Teacher Thoughts Bundle here for one low price.